Mixing business and politics may not be everyone’s idea of ideal work and life balance. 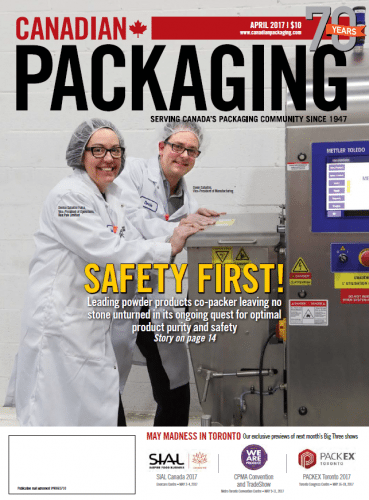 While Doug Ford has followed his political aspirations, brother Randy has focused on making Deco a leader in innovation in the labels and flexible packaging industry. But for Doug the fine line between public service and business prominence has always been a “passion,” says Doug, the self-described ‘workaholic’. As co-owners of their family-owned Deco Labels & Flexible Packaging business—founded in westend Toronto by their late father Doug Ford Sr. back in 1962—the two elder Ford brothers strive to ensure that Deco leads the pack in technology and service, a vision their late father never lost sight of. If anything, the tragic loss of their brother, Rob Ford, to cancer about a year ago has given them a renewed sense of drive, passion and purpose to make the family business—already one leading pressure sensitive label manufacturers in Canada—even stronger. Operating a busy 70,000-square-foot production complex a short drive east of the Toronto’s Pearson International Airport in the city’s west end—along with another 45,000-square-foot label and flexible packaging plant in Chicago—the company employs about 200 people in total while operating a busy seven- day weekly schedule. magazine during a recent visit to the Toronto plant.